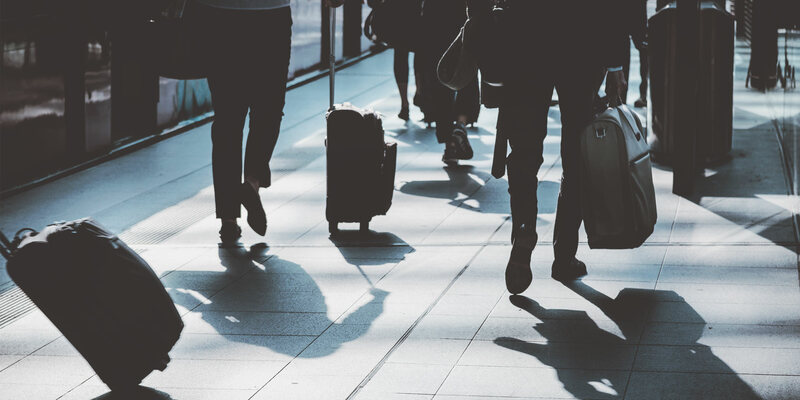 Visionect and Mercury Innovation have combined their extensive experience, entering into a strategic partnership agreement to deliver better and more accessible public transport solutions across the globe. The new strategic partnership sees Visionect’s decade of market-leading experience in cutting-edge, ultra low power signage technology combined with Mercury Innovation’s extensive experience in design of customer focused public transportation products and systems. Together, the two industry leaders are now writing a new chapter in the evolution of the smart city by delivering better and more accessible public transport solutions across the globe, displaying real-time information on the go and ensuring the transparency and accessibility of this information. 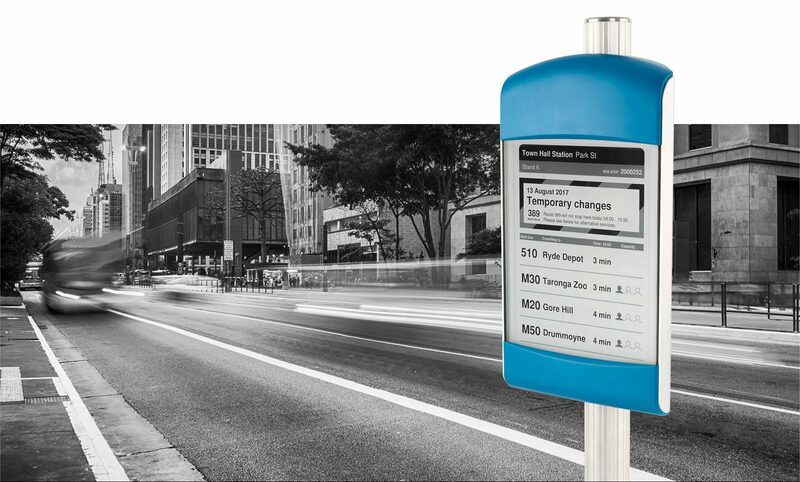 Digital signage solutions Powered by Visionect and Designed by Mercury Innovation fulfill all the requirements of a comprehensive public transport information system without the need for complex cabling, system integrations or expensive installations. 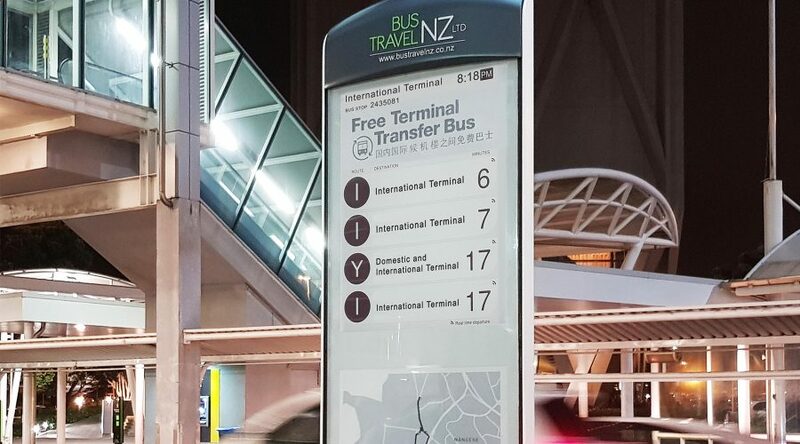 Cities and public transport authorities can now turn to digital signage solutions Powered by Visionect and Designed by Mercury Innovation that fulfill all the requirements of a comprehensive public transport information system without the need for complex cabling, system integrations or expensive installations. 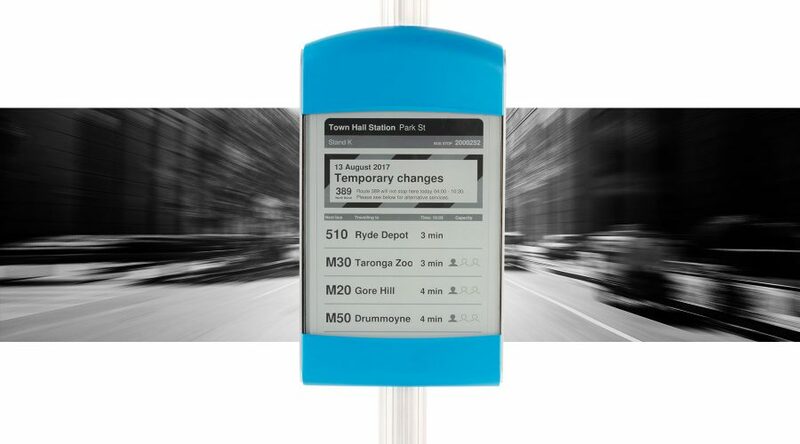 Visionect and Mercury’s e-ink information boards and notification screens balance enhancing serviceability and streamline processes with meeting citizens’ expectations. Supporting energy saving features, they are solar-powered and implementable even at the most demanding of locations, electrical grid or no, featuring superb visibility in all light conditions. 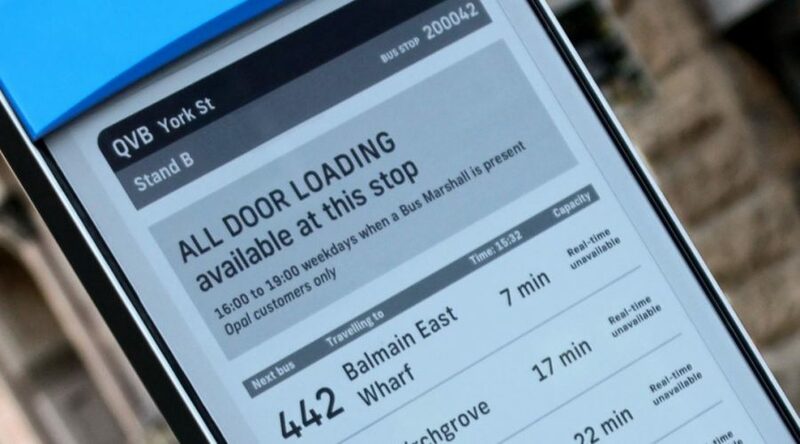 The first of these products is the eStop, a solar-powered bus information board that has been deployed in Sydney, Australia by Transport for NSW, creating excitement with the city’s ridership who have taken to Twitter to rave about the solutions’s design and technology. Visionect and Mercury Innovation’s past collaboration also includes the world’s first installation of solar powered e-paper traffic signs in Sydney that have been running uninterrupted, come rain or shine, over the past 5 years.